Sony announced a trio of new smartphones this morning at MWC 2016 - and they don't include the expected Xperia Z6. Instead, there's the X, the XA (very mid-range, think Compact) and X Performance. The X Performance is perhaps most interesting, reminiscent of the Z5 Premium even though the whole of the X Series sits underneath the Z Series. But we don't know a great deal about it and it will definitelybe released after the other two handsets. Three, EE and Vodafone have been in touch to say they will be stocking the X and XA, which have a release date of the Summer. Xperia X and Xperia XA each have a range of matching Style Covers and will roll out in four elegant finishes; White, Graphite Black, LimeGold and Rose Gold. 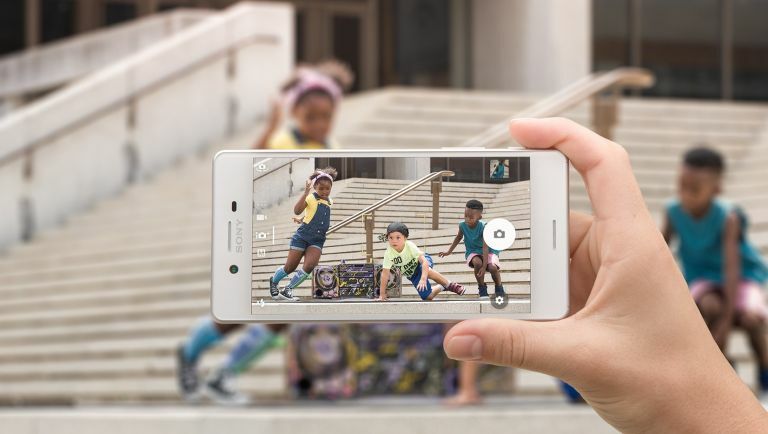 The Xperia X features a 5-inch 1080p display, a 23MP rear camera, 13MP front-facing selfie shooter and either 32GB or 64GB of storage. There's also 3GB of RAM and a Qualcomm Snapdragon 650 processor doing all the work. There's also a microSD card slot. The Xperia XA features a 5-inch edge-to-edge 720p display, a 13MP rear camera and a 5MP front facing shooter. It has also a MediaTek MT6755 octa-core processor and 2GB of RAM. There's also a microSD card slot. We don't have masses of product specs at the moment (where are they Sony?) but we do know that the X is powered by Qualcomm's Snapdragon 650. It also has Qnovo's Adaptive Charging tech which should make the battery last twice as long as a - now aged Xperia Z2, apparently. We hope so Sony, we really hope so. Qnovo QNS adaptive charging software takes a unique, patented approach to battery charging by measuring battery health in real-time and continuously adjusting battery charging current. Intelligent management of the charging process enables mobile device manufacturers increased flexibility to improve all aspects of battery performance simultaneously, including longer lifespan, more daily use, faster charging and thinner devices. Qnovo technology operates on standard, un-modified lithium ion cells and optimizes battery performance throughout a mobile product's lifetime. If Sony can get battery life right with the X, it could provide a compelling reason to choose an Xperia over rivals. There's also a 'next-generation' Xperia camera, with a technology called Predictive Hybrid Autofocus. Basically it predicts the motion of objects so it can reduce blurring.